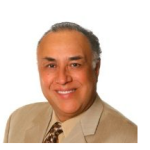 Dr. Robert Beltran is the Senior Executive Medical Director at Brand New Day Health Plan. He is President of Quality Health Care Management, Inc. a healthcare management company focusing on care management and health services for diverse ethnic communities, specifically the Latino Population in California and the United States. Dr. Beltran, M.D., MBA, FACMQ, CHCQM has over 20 years experience in senior clinic roles for healthcare companies. His career focus for the past eight years has been directing utilization managements, credentialing and quality improvement programs for health plans and IPAs in California. They include Care1st, L.A.Care, Universal Care and Monarch Healthcare. In addition, he has experience in leading, training and mentoring a team-centric clinical staff in medical cost and quality management. Prior to launching his health care management career he practiced clinical surgery for 22 years.